What kind of projects are considered for the grant? The grant funds films that are unique and contribute to society that, without the grant’s help, might otherwise never get made. Projects can be short films, feature films, documentary, or even web or television series. Yes, you can enter the grant and live anywhere. However, some of the donations may be offered by vendors located in a particular region. For example, the Roy W. Dean Spring Grant has donors primarily located on the East Coast. Can I enter the grant if I live outside of the United States? Yes, you can live anywhere in the world and enter any of our grants. But, you may not be able to use all the benefits of the specific grant you have won unless you are filming in the US. For example, the Roy W. Dean Spring Grant has donors based in and around New York for camera equipment rental. You may not be able to use these donations if you are filming in another country. Are there any budget limitations for the projects considered for the grant? To be eligible for the grant, the project submitted must be budgeted for under $500,000. Can you apply for the grant if your project is in post production? Yes. You can also enter a project that is in proposal stage, in pre-production, in production as well. When are the grant applications due? We have three grants each year. The Spring grant deadline is April 30th. The Summer grant deadline is June 30th. The Fall grant deadline is September 30th. What type of sample work do you require? A sample of work that best supports your submission to the grant. We want a trailer of the current film and a copy of any completed film. We need to see what you have made and what your vision is for your proposed or current film. How will I know you received my grant application? Why is there a $48 application fee ($38 for students) ? From The Heart Productions, which oversees the Roy W. Dean Grant, is a 501(c)3 non-profit. The operating costs for the grant, such as application processing, are paid for from donations like the application fee. Also, these donations go back to filmmakers as part of the grant. Each year, we do our best to use these donations to increase the cash value of the grant. So, if From The Heart is a non-profit, does that mean my application fee is tax deductible? If I decide not to include the application fee, will my film be considered for the grant? What happens to all the grants after you receive them? When do I get my free consultation? You are entitled to a free 15 minute conference when you apply for this grant. Consultations begin six weeks after the grant has closed and materials have been reviewed. So, for example, if you submitted your project for the Spring Grant, the deadline was April 30th. Consultations can be scheduled six weeks after that date. We can discuss anything you want. 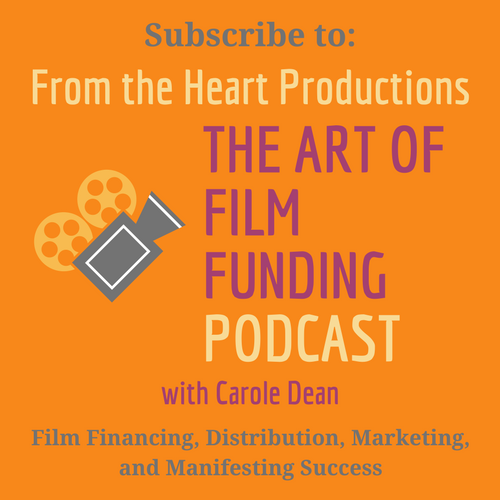 We can discuss improving your proposal, crowdfunding, funding parties, or other ways to fund your film. Whatever you need to help you. How many finalists do you choose for each grant? 20 finalists are selected for each grant. The finalists are notified and are encouraged to post their selection on the projects web page, Facebook page, or other social media. It’s not just to promote the grant. We’ve found that letting others know that they’ve been selected as a finalist adds prestige to their project. It can help in fundraising and bring awareness to it. We also have a group of films with SPECIAL CONSIDERATION. They are excellent films even though they did not make the finals this time. How long does it take you to decide on the finalists? We usually have finalists up on the web site in 6 weeks after the grant deadline. How long does it take you to select the winner? Our goal is to have the winner chosen in less than 4 months from the grant deadline for submission. When can the winner begin to use the donations in the grant? Once you win, we email all the donors. This opens the door for you. Next, we send donors a letter and email you the contact person. You can then contact them directly. If I win the grant, what is required as acknowledgment for From the Heart Productions? Can I apply for other grants if I win the Roy W. Dean Grant? Yes. A big benefit of winning the grant is that it makes your film more attractive to other grantors. The Roy W. Dean Grant has been around for over 20 years and its winners have gone on to make excellent films that have won awards. Other grantors know this. Winning the Roy W. Dean Grant is key reason that so many of the winners have received other grants. If I don’t win the grant, can I reapply? We encourage it. As part of the grant process, you will get a consultation from Carole Dean with advice on how to improve your project and your submission. She will mention suggestions judges have made on your project. Make the changes, submit again, and your chances for the grant improve. Judges like to see that you listened and improved your project. Do you need me to send in a sample of the work that is being submitted to the grant? Yes, we want a trailer of the film you propose if it is a documentary. For a feature or short, we don’t need a trailer. What is the best way to contact you if I have questions about the grant?